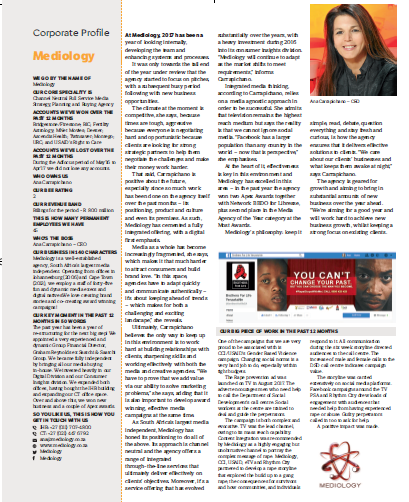 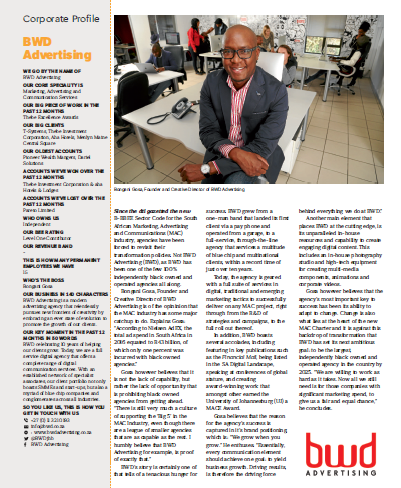 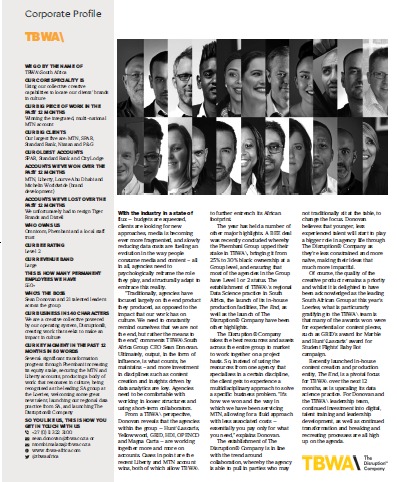 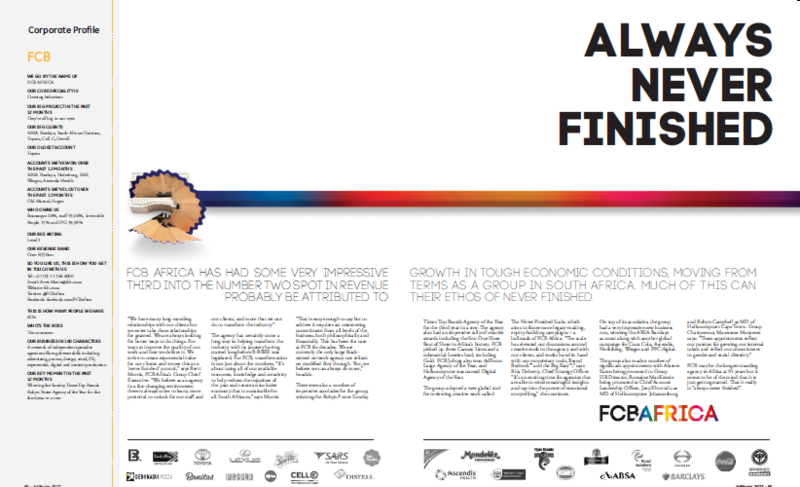 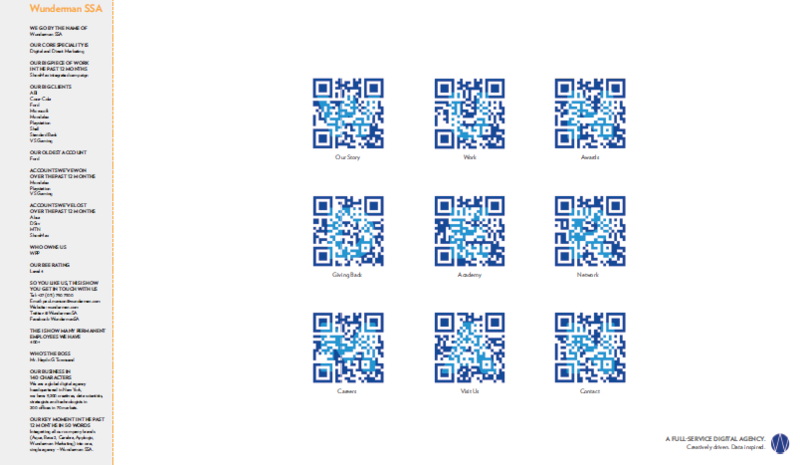 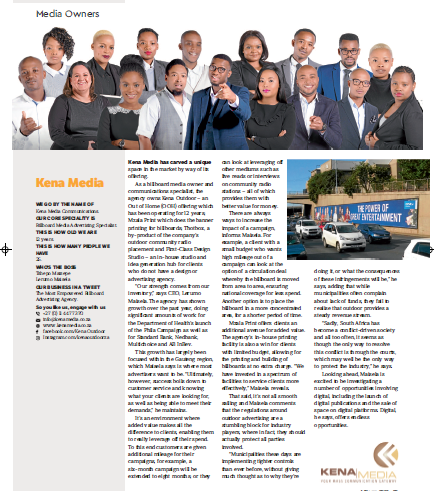 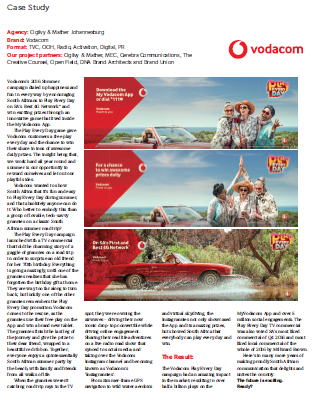 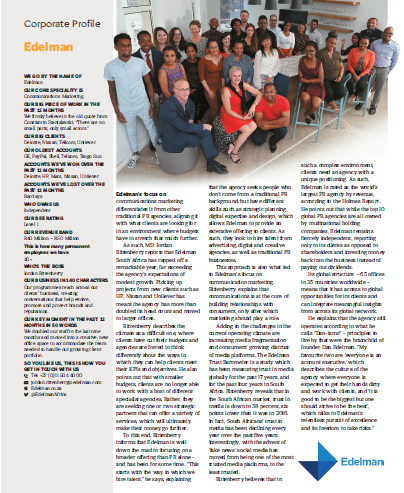 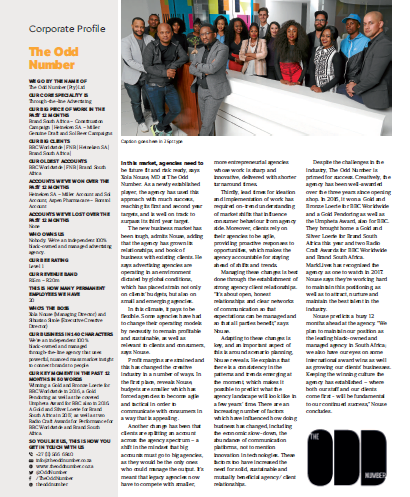 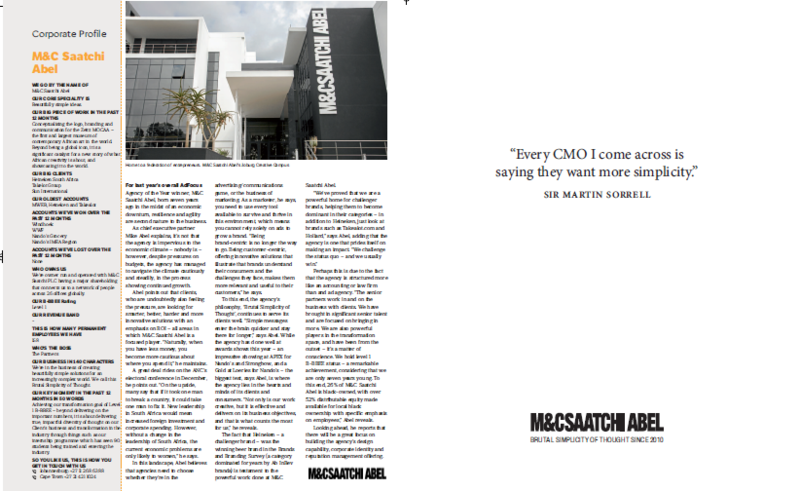 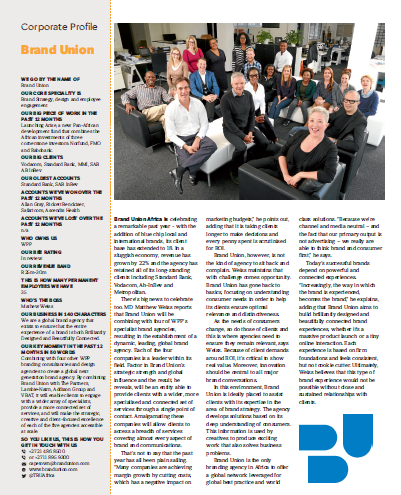 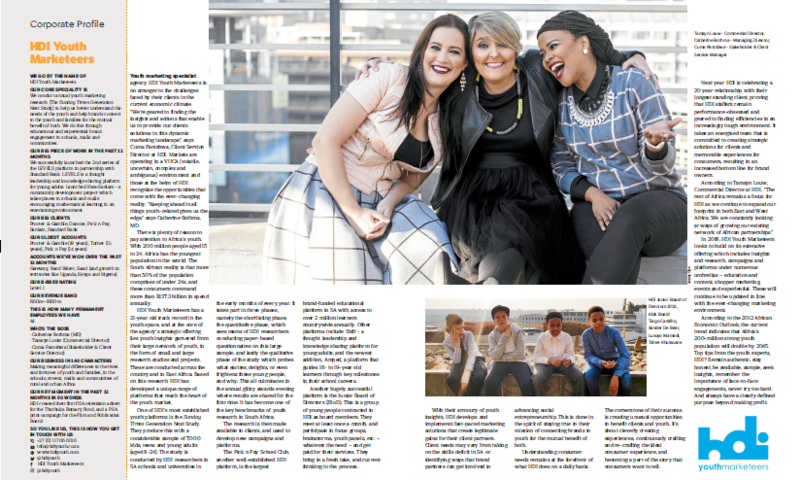 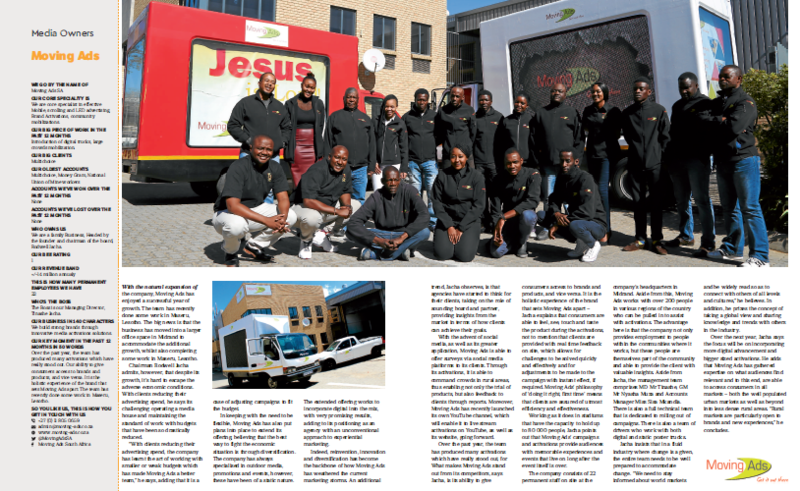 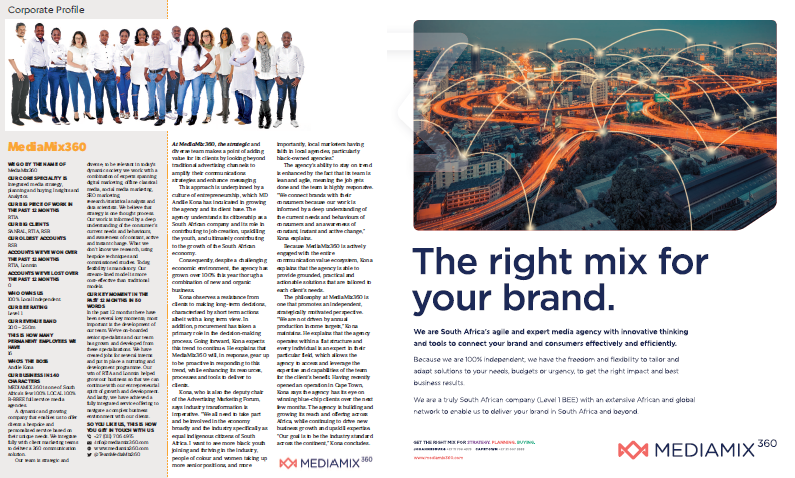 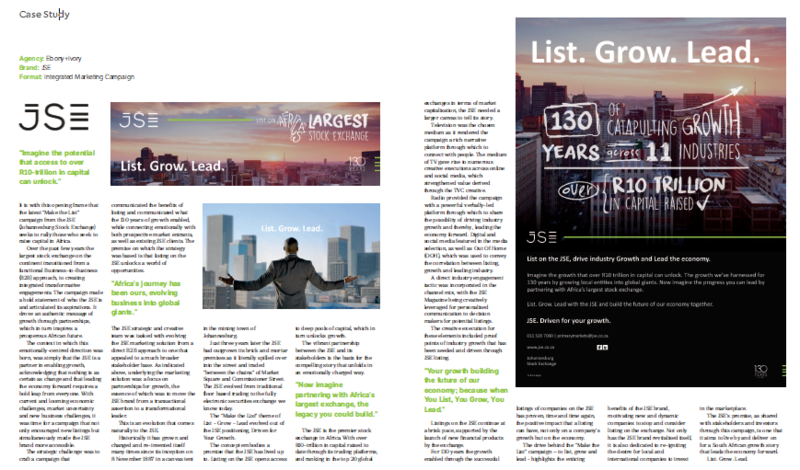 AdFocus is SA’s largest brand communication review. 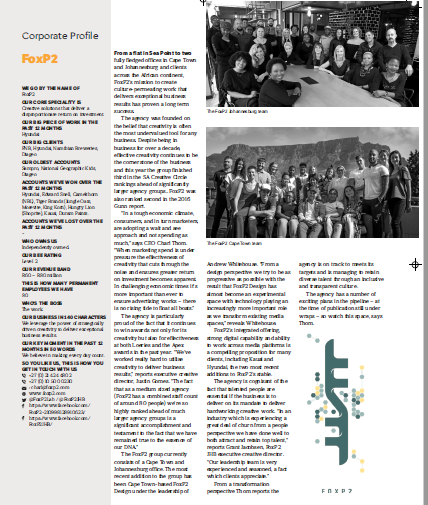 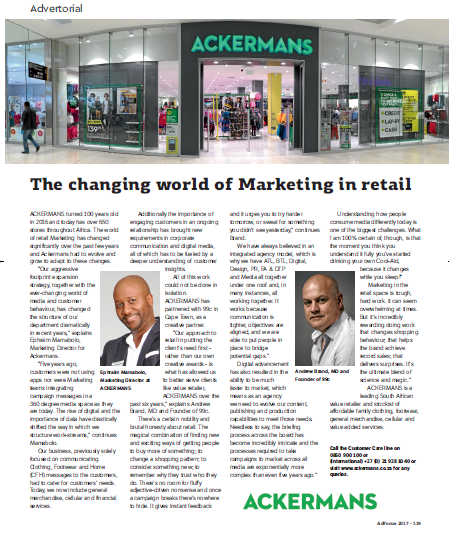 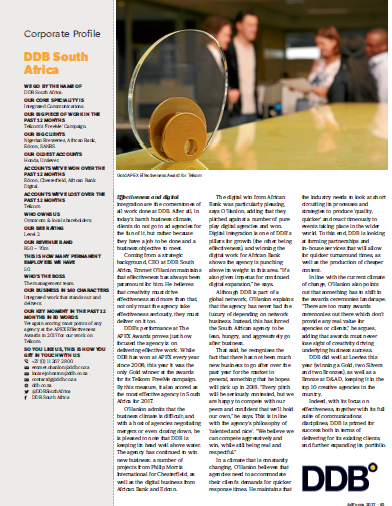 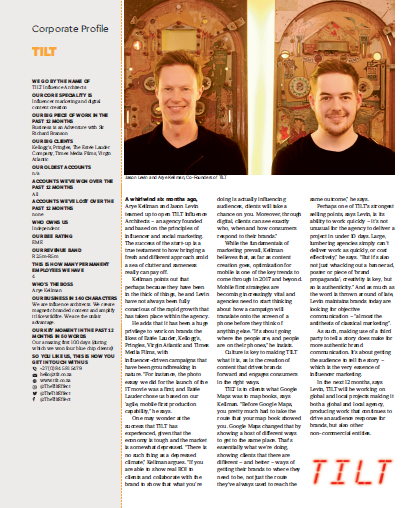 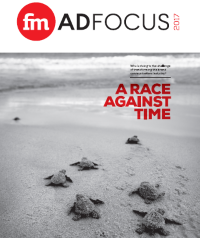 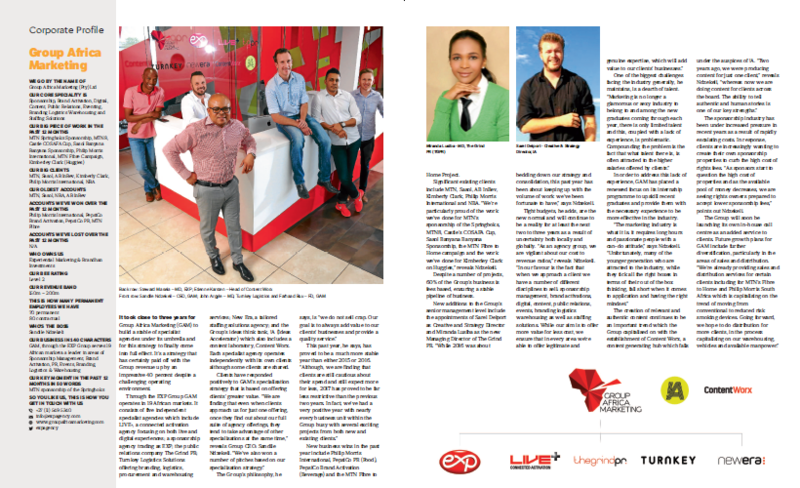 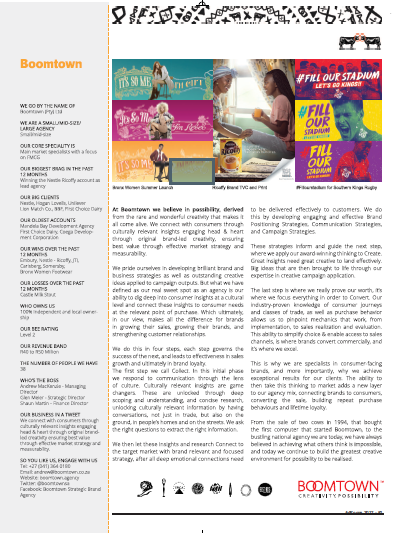 Published on the 22nd November 2018, AdFocus will be distributed with the Financial Mail and read by the top players in media, advertising and marketing. 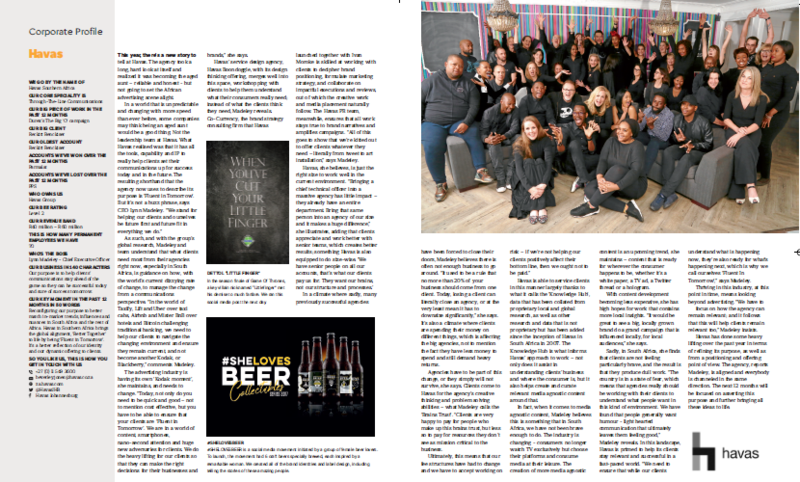 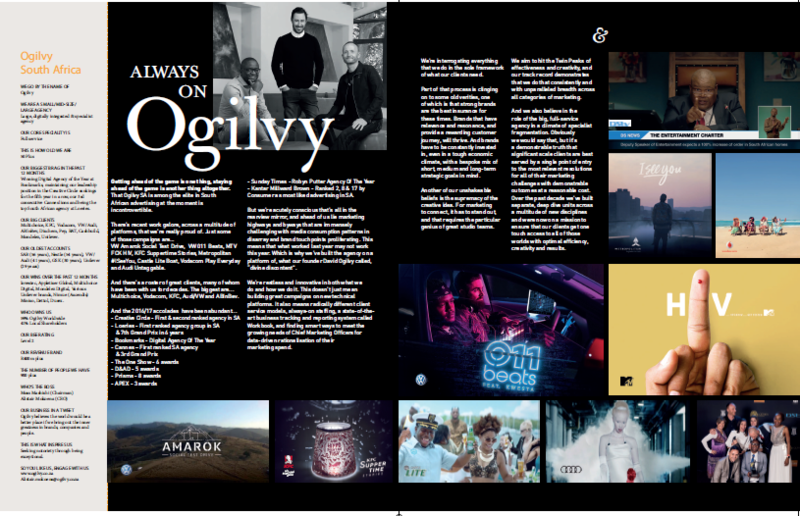 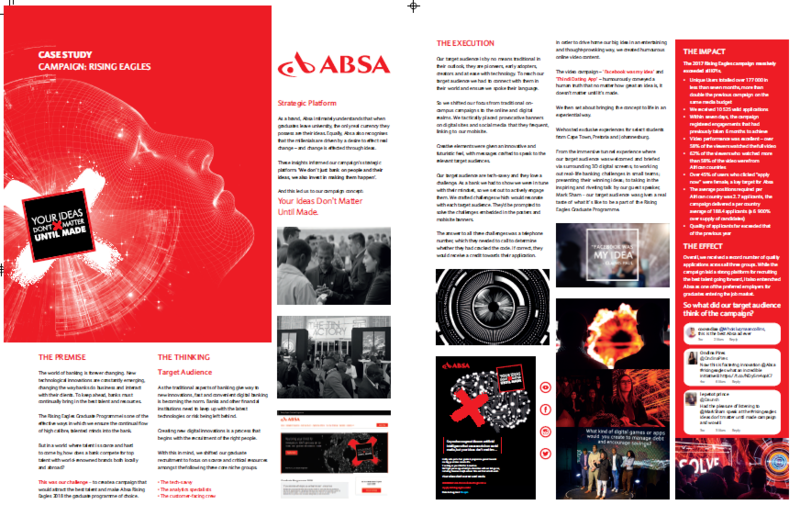 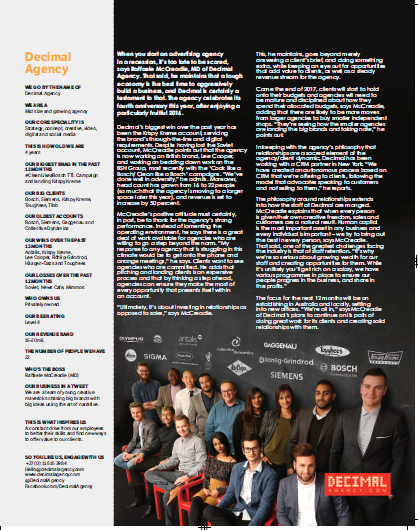 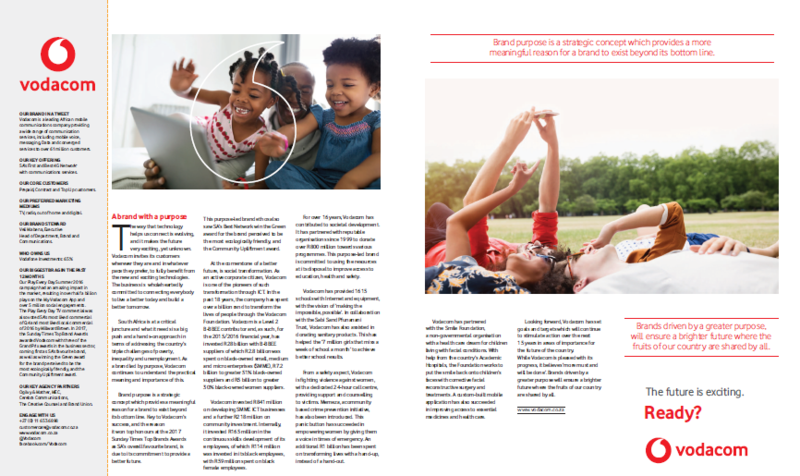 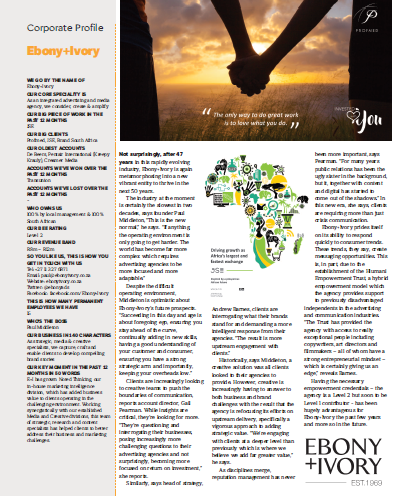 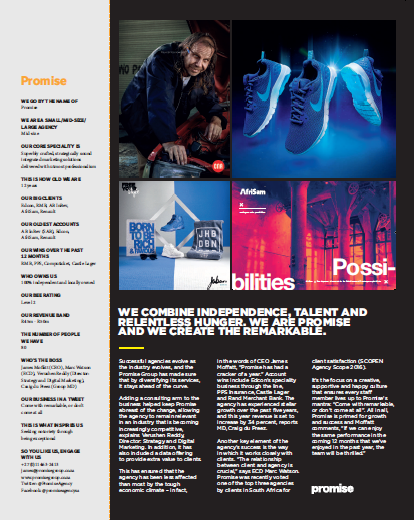 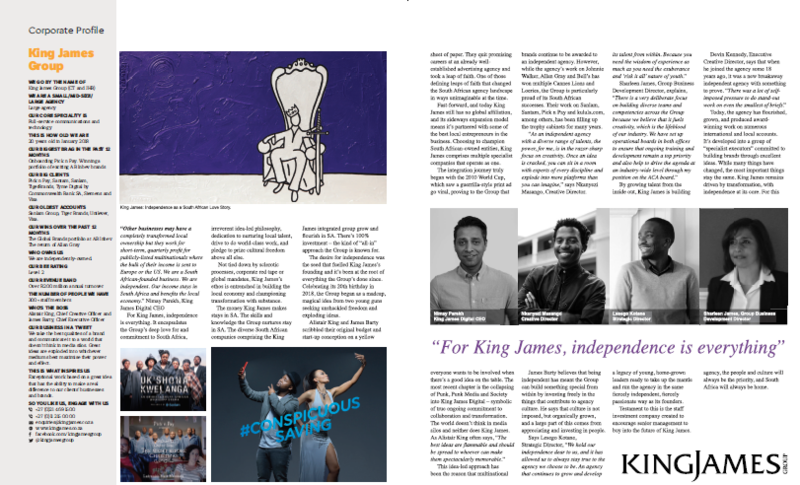 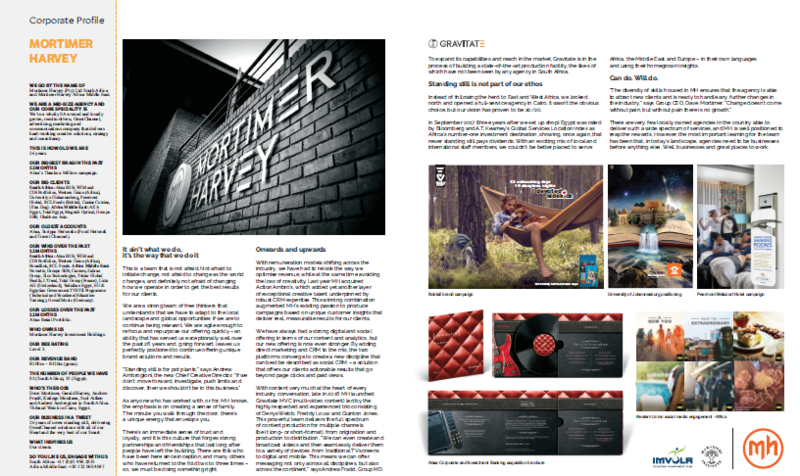 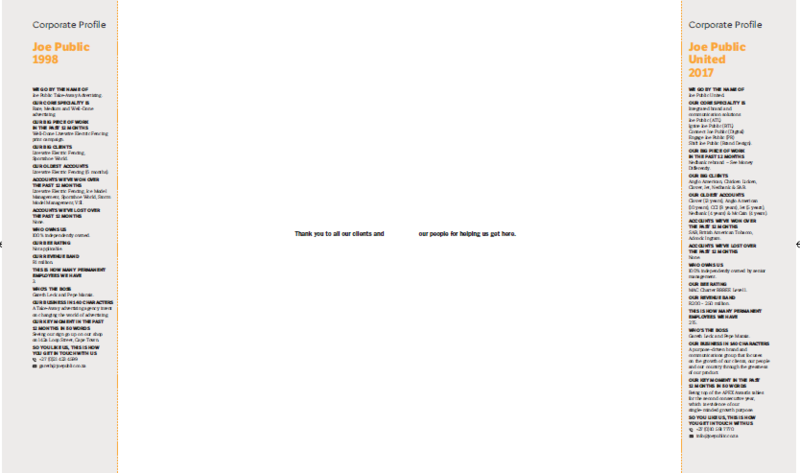 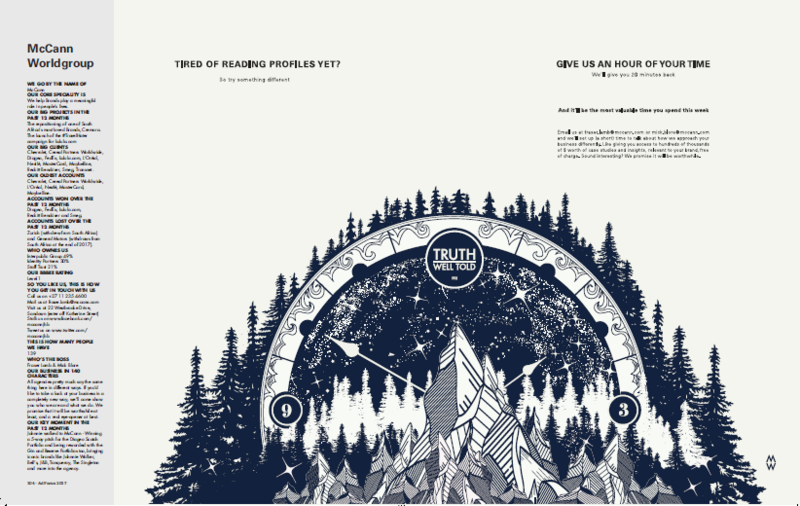 The review gives brands, agencies, media owners, PR and production companies the opportunity to profile within and showcase the great work they have done for the year. 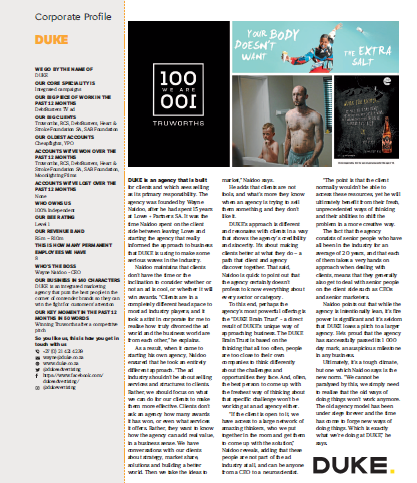 Bookings close at the end of August so get in touch to secure your presence!